Yes! I'd like to receive email updates about your programs. Email addresses will not be shared with any other entity. Rules and information: By entering this raffle, participant (and participant's parent/legal guardian) waives all rights to claim punitive, incidental and consequential damages, attorneys' fees or any damages other than actual out-of pocket costs incurred to enter. Other Chabad affilliates market and refer purchasers to this raffle. Proceeds of the raffle purchases are go strictly to the individual center. Winners will assume and be responsible for any licensing, registration, and other fees, and any local, state and federal taxes, including without limitation any applicable sales, use, luxury, income and special taxes. 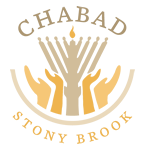 The decision of Chabad at Stony Brook shall be final on all matters concerning the raffle. By entering the raffle, the participant agrees that his/her name and likeness may be used for promotional purposes. All participants must be 18 years of age or older. jOIN OUR EMAIL LIST. tHIS WILL ENSURE THAT YOU WILL RECEIVE ALL INFORMATION ABOUT OUR UPCOMING EVENTS!